Ethiopia adventure tours and activities involve travels to remote areas in the country where travels can see unexpected things. The most important adventure tours in Ethiopia include places such as Ethiopian landscape, the Dallol Depression which is one of the hottest places in the world, and trekking through some of the continent’s legendary mountain ranges such as the Simien Mountains National Park. The types of adventure travels in Ethiopia include jungle tourism, ethno tourism, cultural tourism, overland travel, ecotourism, and accessible tourism. We have also several places here in Ethiopia that do not require specialized skills and physical exertion to do adventure activities. Some of these places are located very close to Addis Ababa. square is located some 400 km southeast of Addis Ababa and categorized under sub-division of the Eastern Highlands of Ethiopia. The Bale Mountains massifs are located between the upper courses of Wabisheblle and Ganalle rivers. The magnificent Bale Mountains National Park was primarily established to protect two endemic mammals, the Simien Fox and the Mountain Nyala—which is found nowhere else. 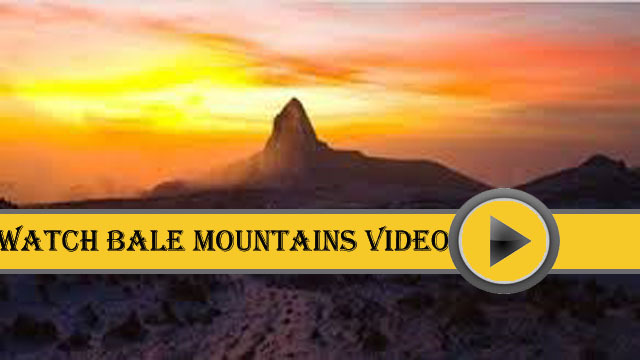 The Bale Mountains National Park is also one of the best places to do trekking in Ethiopia. hagenia woodland where as the altitude above 3,510m by Afro-alpine moorland. The Harenna Forest in Bale Mountains National Park is very well known for its wildlife such as Olive Baboon, Guereza, Menelik’s Bushbuck, Vervet Monkey and others. Please go to “Wildlife Tours” sub-menu under “Our Programs” main-menu of this site for some more important information on Bale Mountains National Park. Arehos, transport amole chaw from Dallol to Mekele. Nowadays, the journey of the caravans includes a stop at the town of Berahile to load the salt onto trucks that transport the bars to Mekele. In addition to its active volcanoes, the Afar Depression is also characterized by faulted depression and volcanic hills. The Erta Ale and Dallol Depression areas are rich in potash and pockets of saline salts as well. The salt plain of the Afar region is a remnant of the dried sea water during the Quaternary period. 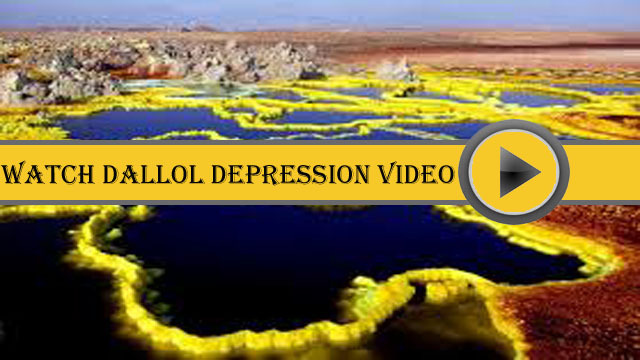 The Dallol Depression with its surroundings has a high potential of geothermal energy. 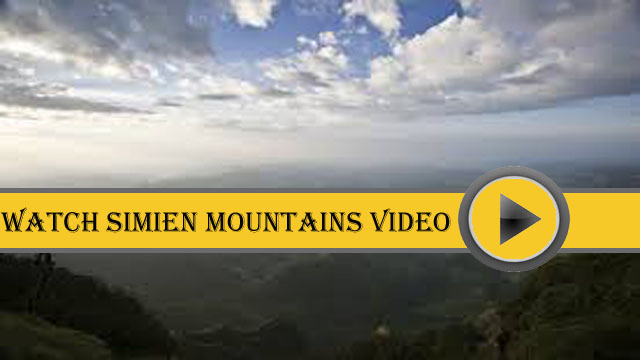 Simien Mountains National Parks :The Simien Mountains National Park is one of the most attractive sightseeing of Ethiopia which comprises one of the largest compact groups of mountains in Ethiopia and the fourth largest in the African continent. Most travelers include this park in their Ethiopia tours. The word “Simien” means north in Amharic. Geological history of the Simien Mountains :The geological history of the Simien Mountains goes back to the Oligocene period, tens of millions years back using volcanic activity. The rocks of the lower part of the Simien Mountains were formed during the Mesozoic Era (225 million – 65 million years). reaches about 15°C.while the nighttime 3-5°C. Three botanical areas constitute the Simien Mountains National Park--the lowest altitude (up to about 2,700-3,000 meters), the medium altitude (3,000-3,600 meters) and the highest altitude (3,600-4,620 meters). The lowest altitude between Debark and Sankaber has been used for agriculture and as a grazing land for domestic animals, the medium altitude is dominated by remnants of the original vegetation of giant heath that had covered the area in ancient times and finally, the highest altitudes are covered with the vegetation consists mainly of mosses and lichens. The dominant plant species at this national park include fescues, red and yellow flowers of the “red-hot poker” and giant lobelia are some. Mammals :The major justification for making the region of Simien Mountains into a national park is that it is the stronghold of the Walia Ibex. The fact that Simien Mountains National Park is the stronghold of the Walia Ibex was the major reason for making the region into a national park. Some of the most important wild animals that are found in this park are Walia Ibex, Gelada Monkey, Simien Fox, Klipspringers, Grimm’s Duikers, Bushbuck, hyenas, Jackals, and more. Birds: The Simien Mountains National Park hosts more than fifty bird species. One of the most spectacular of these is the lammergeyer, or bearded vulture--bone and bone marrow eater. Retrace from Goba to Addis Ababa through Assela and Nazret. After arrival, refresh yourselves at a hotel and transfer to the airport for your evening return flight to home. After breakfast, drive back to Hammed Ela, of course; through Kusrewad again. Retrace to Mekele. O/N in hotel. Transfer to the airport to catch your return flight from Mekele to Addis. After arrival, refresh yourself at your hotel, do your last minute shopping, and finally in the early hours of the evening, transfer to the airport for your evening return flight to home. Take your flight from Gondar to Addis, and after arrival do your last minute shopping (or a half-day city tour), and in the late evening, transfer to the airport for your evening return flight to home.